Stephen Hawking, perhaps the world's best known scientist, has died, a spokesperson for his family has confirmed. He was 76. "It is with great sadness we announce the death of Professor Stephen Hawking CH CBE FRS FRSA at the age of 76," the statement reads. "Professor Hawking died peacefully at his home in Cambridge in the early hours of this morning. His family have kindly requested that they be given the time and privacy to mourn his passing, but they would like to thank everyone who has been by Professor Hawking's side — and supported him — throughout his life." Hawking's best-known work included his collaboration with Roger Penrose on gravitational singularities, the prediction that black holes emit blackbody radiation, and the best-selling book A Brief History of Time. The book aimed to introduce key cosmological concepts to a non-specialist audience, and sold over 10 million copies in 20 years. 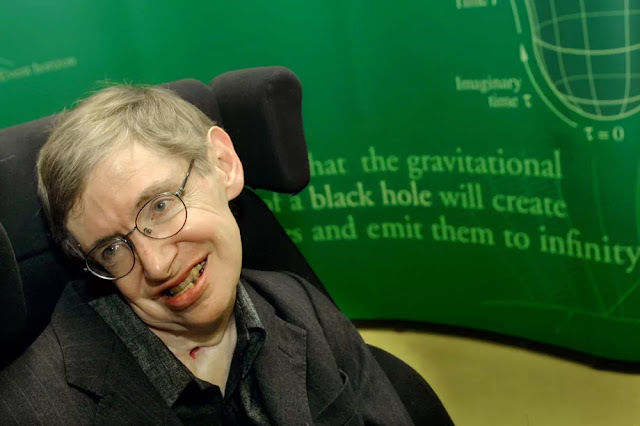 Hawking was diagnosed with motor neurone disease, or ALS, at the age of 21. The debilitating illness gradually paralyzed him, confining him to a wheelchair, and in 1985 a tracheotomy robbed him of his voice. But Hawking continued to be a hugely prominent and popular public figure through the use of his computer-aided speech system, which required painstaking operation by a single cheek muscle. "My disabilities have not been a significant handicap in my field, which is theoretical physics. Indeed, they have helped me in a way," Hawking once wrote, saying that his situation presented him with the time to clearly think through the problems of physics. And Hawking not only far outlived doctors' expectations, but climbed to the top of his field, becoming a major celebrity in the process. He appeared on The Simpsons and an Oscar-winning movie, The Theory of Everything, was made about a period of his life. "We are deeply saddened that our beloved father passed away today," Hawking's children Lucy, Robert, and Tim said in a statement. "He was a great scientist and an extraordinary man whose work and legacy will live on for many years. His courage and persistence with his brilliance and humor inspired people across the world. He once said 'It would not be much of a universe if it wasn't home to the people you love.' We will miss him forever."